Most people who start their own ecommerce stores are often hesitant to import their goods from overseas. And their fear is understandable. After all when you’re dealing with a vendor that is over ten thousand miles away, every little bit of miscommunication is magnified by 10X. And if you factor in the language and cultural barriers, it can be quite intimidating to pay a large sum of cash to someone in a completely different country. But the reality is that importing goods from China or any foreign country is not that difficult as long as you are careful and know what to expect. 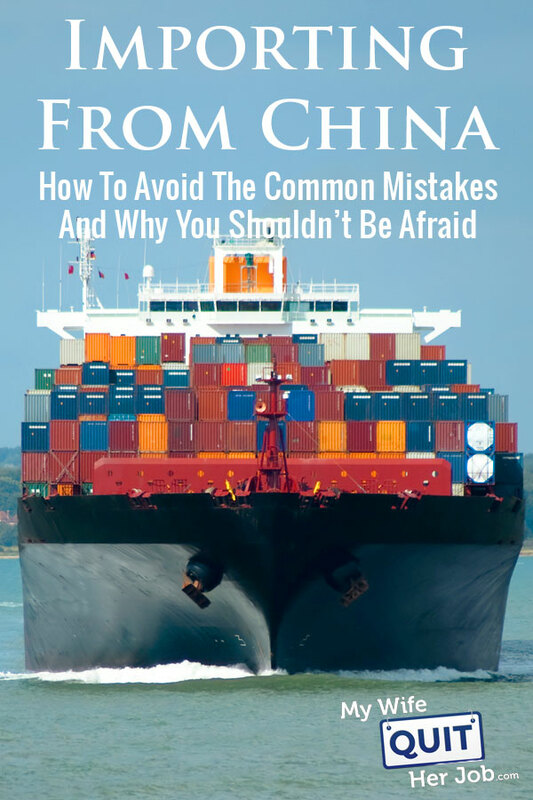 In this post, I will address some of the most common fears and myths involved in importing your goods from China and hopefully show you that buying goods from overseas isn’t as intimidating as it sounds. Most people think that doing business with a Chinese vendor requires an interpreter. But in all my years of doing business overseas, not once have I ever felt the need to hire a translator. Wait a sec Steve… Aren’t you Chinese? Don’t you speak the language? The truth is that my Chinese is horrible. While I’m technically Chinese, I was born in the United States and I would estimate that my language skills are on par with a preschooler or a kindergartener. Sure, I can tell someone very confidently that I need to go potty but that’s about it. In fact one time I tried to bust out my Chinese with a vendor at the Canton Fair and he gave me a puzzled look and ended up replying to me in English! The reality is that almost every Chinese vendor has at least one person who can speak English semi-fluently. And more often than not, they all have a decent grasp of written English. As a result, communicating with your vendor should be relatively straightforward if you simply stick with email or live chat. Recently, I took my partner Toni Anderson with me to the Canton Fair and she was able to communicate with Asian vendors just fine on her own even though she doesn’t speak a lick of Chinese. You can listen to her experiences below. Don’t be intimidated by the language barrier! After you’ve established initial contact with a vendor via email, ask for their WeChat account. WeChat is a messenging app that people in China use for EVERYTHING. They use it to exchange money, pay for goods, communicate with friends, pay their bills and conduct business transactions. Once you are connected on WeChat, communication becomes infinitely easier and faster. Unlike email, vendors receive your messages instantly and they are more likely to respond in a timely fashion. In addition, WeChat allows you to communicate via video as well if you want a tour of their facilities. While email is a good for first level communication, WeChat is much more intimate and effective. While it is true that there are scammers and con artists in every industry, I have yet to encounter a vendor who intentionally tried to rip me off. In fact if you do just a little bit of due diligence, you can easily sort the bad vendors from the legit ones. For example, you can arrange a Skype/WeChat chat with your vendor to get an idea of who you are dealing with. You can have them provide you with a virtual tour of their facilities. You can also ask if they work with other businesses in your home country and take a look at their existing clientele. Use services like Panjiva or Import Genius to verify their claims. In general, I try to stick with vendors who are accustomed to working with US companies to keep things simple. One thing that my wife and I also like to do is to attend the Canton Fair which takes place in GuangZhou, China twice a year. If a vendor has a booth at the fair, then you can pretty much bet that they are a legit vendor. And even if you can’t make it all the way out to China, you can still find legit vendors by looking at trade show catalogs. For example, you can go to the Canton Fair website and download a copy of their directory to see if your vendor is on the list. In general, as long as you are careful about who you work with and do the research, you can easily avoid the scam artists. There are several types of Chinese suppliers that you’ll come across as you do your research. The first type of supplier is a factory. A real factory owns their own facility and physically creates every item that they sell. The pricing that they offer will generally be the lowest that you can find albeit at much higher minimum order quantities. Factories in China typically have very narrow specialties and you’ll rarely find a factory that makes a large variety of goods. In fact, if a company claims to be a factory but sells hundreds of disparate items, they probably aren’t a real factory. The second type of supplier is a trading company. A trading company is essentially a middle man that acts as a liaison between you and a factory. As a result, they will add a markup to the overall cost of your products. Now you might think that working with a trading company is a bad idea but there are several advantages to doing so. For one thing, trading companies often have the ability to negotiate lower prices with factories than you can because they have special relationships already in place. As a result, the price that a trading company quotes you could be pretty close or on par with a factory. The second advantage is that you can often purchase in lower quantities. Whereas a factory might demand that you purchase 5000 units, a trading company might have an minimum order quantity of only 500 units. The final advantage is that trading companies are often more experienced in working with Western companies and they can provide additional services. For example, they might offer better packaging options or offer a first level of quality control to screen your products. The last type of supplier is a pure middleman. A pure middleman is just an individual or a small group of individuals who essentially go shopping on your behalf and take a cut of your profits. The main distinction between a pure middleman vs a trading company is that a trading company is a real business and not a fly by night operation. In general, you should avoid pure middlemen at all costs. Right now, the most popular way to find Chinese vendors is to use a service like Alibaba. Alibaba is basically an online directory of Chinese suppliers that you can browse for free. If you are using Alibaba to find your vendors, make sure you only deal with Gold or assessed suppliers. A gold supplier is a supplier that has been pre-vetted by Alibaba. Not only must they pay a membership fee to join (which generally weeds out the small time operations), but they also perform an on site check to see if the vendor is running a real operation. An assessed supplier is a supplier that has been vetted by a fully independent and impartial third-party verification firm. Alibaba works with several agencies with proven track records to ensure a business is legit. As I mentioned before, if you go to any major Chinese trade show like Global Sources or the Canton Fair, all of the vendors who attend are almost guaranteed to be legit because it requires substantial resources to rent a booth. One of my biggest early concerns with importing a large quantity of linens into the United States was quality control. Most transactions with overseas vendors are done via wire transfer. As a result, once you have received your merchandise, you are pretty much stuck with it and there’s no easy way to make a return. So what’s stopping a vendor from shipping you complete and unsellable crap? Nothing really. But there are many steps that you can take to prevent this from ever happening. The first line of defense is to request samples made from the exact batch of materials from your production run. Note: The last part of this statement is extremely important. When you initially ask a vendor for a sample, chances are that they are going to ship you something that was made from excess material from a different production run. Sometimes, they’ll ship you left over stuff that’s been sitting on their shelves for months. As a result, the sample you receive may not be representative of the final finished product. My wife and I made this mistake many times when we first started out. We would ask for a sample which would look fantastic only to get shipped product made from a much thinner, lower quality material when we purchased in bulk. Today, we always ask for samples made from the exact fabric that is going to be used in final production. We also have the option to enlist a 3rd party inspection company to physically go through our goods in China before they are shipped. Not a big deal. When it comes to negotiating with Chinese vendors, price should not always be your primary concern and it’s a delicate balance between maintaining low costs vs achieving high quality. For example, one time we negotiated a 10% discount on a large manufacturing run of embroidered handkerchiefs. For all of you who have experience importing, you probably know that 10% is a pretty significant discount. Anyway, we had ordered hundreds of dozens of this exact same handkerchief style in the past and we were extremely happy with the quality and the new discounted price. However when we received the discounted batch of merchandise, we discovered that the fabric was significantly thinner than prior production runs. And the upshot was that the manufacturer met our pricing demands by using thinner material but failed to let us know about the change. Whenever you try to drive down the price, there will be repercussions on quality. As a result, whenever you are ordering products from China you have to provide extremely detailed specifications on what you want. Any detail that you do not explicitly state in writing will result in the vendor cutting corners when you negotiate on price. Once again, ALWAYS use an inspection company like AsiaInspection.com to ensure quality directly at the factory BEFORE it is shipped! With all of the bad press coverage regarding manufacturing scandals in China, the media has led us to believe that all Asian vendors are out to make a quick buck regardless of quality. But while there are vendors like that out there, I’ve found that most Chinese businesses that I’ve personally dealt with are in it for the long haul. In other words, establishing a long term business relationship with you is their primary goal. For my wife and I, we always begin every new vendor relationship with a small purchase and gradually work our way up to larger orders over time as our mutual trust builds. Over the years, our vendor relationships have become so strong that we’ll often get shipped merchandise without having to pay anything in advance. One time, a vendor accidentally shipped us a large batch of bad product (we didn’t get an inspection) and we decided to complain about it. Now technically the shipment was paid for, we were stuck with it and they could have told us to beat it. But instead, they worked with us to find an acceptable resolution to the problem. When we could not come to an agreement on price, we ended up returning all of the merchandise back to China. But here’s what was hilarious. Instead of shipping the merchandise back to China which would have been expensive, they ended up sending a random relative/friend to pick up the merchandise and take it back with them in suitcases on their next visit back home to China. Anyway the point that I’m trying to make is that all of the Asian vendors that we’ve worked with legitimately care about the relationship. The purchases we make are not one and done. They are our partners for the long haul. 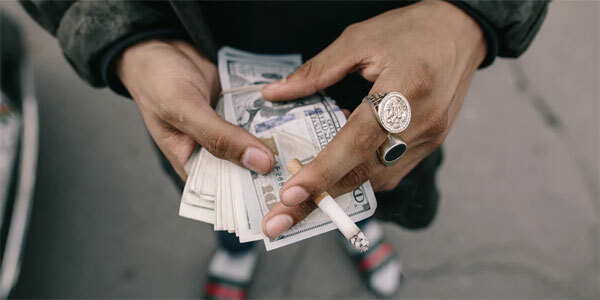 As long as you start out with small orders and gradually expand, you can weed out the “get rich quick” guys and focus on the factories that you want to work with on an ongoing basis. When it comes to sourcing product for your online store, chances are that you will be able to find much better pricing overseas. Now importing goods from Asia can be intimidating if it’s your first time. But if you start out with very small orders to get your feet wet and gradually grow over time, the process instantly becomes much more manageable with less perceived risk. Importing your products from overseas is quite doable. You don’t have to buy an enormous quantity of goods. You don’t have to risk a lot of money. You just have to be willing to take a small chance. If you are interested in learning more about how to import products from Asia, consider signing up for my full blown class. I’ll teach you how to find vendors for your store and hold your hand throughout the entire importing process. Hi Steve, I always look at your post there is usually something of interest. In regards to communicating with china for products. I read last year that more people speak English in China than the rest of the world combined. I have a Chinese friend who goes to China every 6-8 weeks. He finds things for me. This is Jen, the better half of MWQHJ. As to your question, I do recommend getting a customs agent. That person will ultimately take care of filling out the custom’s paperwork before leaving China (Form ISF10) and after the shipment lands in the US. They will also work to bring the product out of customs/port and shipped to your location. We ultimately used a customs agent that was based close to our designated port. A customs agent works for the importer whereas the shipping agent (someone that typically works for the shipper forwarder) works for the exporter. We use the same one for all our shipments. In my opinion, you should just use the least expensive shipper forwarder you can find. When we first started importing, we just asked our manufacturer to find the least expensive shipper forwarder and provide us with a quote. Each of our shipments uses a different shipper forwarder. Unfortunately there’s not a clear way to “price check” the shipping cost as shipping prices can vary depending on different factors (size, weight, how many pallets, shipping destination, etc). Most companies in China, do FOB China prices which means, the manufacturer will handle the shipment to the port. After it’s been loaded onto the boat, the transfer of responsibility is to the shipper forwarder. Once it’s landed and off the boat, the customs agent is then responsible until it arrives to your location. Thanks for sharing. I am an American who has been working in China for the last 4 years and throughout my time here I been the head manager for a QA/QC American Company. 1. Chinese suppliers are not the way to go if you are looking for a product. There are many American Sourcing companies in China you can use. Chinese suppliers from my experience are not reliable, trustful and always find a way to make things complicated. I have been in many situations where suppliers claim to be a factory but in the end after asking to see their audit reports they become silent and stop communication. Most suppliers are individuals who receive a small percentage from the factory. If you want to see a supplier to be real I recommend to have a Skype interview and ask them to show you their supplier certificate on Skype. As well to send you social compliance audit reports from the factories they find for you. 2. Chinese factories are actually great business partners and most are in for the long haul, I just recommend to check the quality because most of these factories have workers that spend countless hours doing the same thing everyday and in return become complacent. That would happen to anyone working the same hours, so the factory is not to blame. 3. Factories or vendors usually have one or two people in their sales department that speaks English, this comes with the new English teaching China has been incorporating in their educational system. But you must remember that the person speaking English is most of the time from my experience a sales girl who is usually just out of college and does not have much experience in the manufacturing world. So if you are trying to buy something from a factory and you run into quality/shipment/money/product issues the chances are that the inexperienced sales girl is going to be your translator. The most important thing to take from this blog is that I truly believe that Chinese factories are very welcoming, helpful, great business partners, and extremely friendly to us foreigners. and in the end one must be understanding and patient because afterall we are the ones in their country not speaking their language. Once again, thanks for the insight and all the useful information. Great advice Steve. Especially important to get the pre-production sample – definitely a best practice. While you are right that one shouldn’t be intimidated by the language barrier, one should be careful because some suppliers with great english skills in China are in fact trading companies. At the same time I’ve run across good suppliers with great product and price but they cannot put together an email in English and are not found on Alibaba. best article for businessman i am from Nepal can u give vendor mobile number or contact number for business purpose. Great article Steve! I am starting to enjoy your post! You have some great insight into what it takes to be successful sourcing. I myself have had mixed results. For one particular product business, I worked with a 3rd party and luckily never had a major issue with production. Recently I sourced a different product of Alibaba using a lot of the tips you have provided. The factory passed the smell test and delivered a quality first order. The problem was the factory never could deliver the same quality in the following orders. It has been a nightmare trying to get the money refunded for faulty products. They said they would make another order but the replacement order was also faulty. Have you had any issues getting factories to refund for a faulty production? I am learning Chinese online with a teacher who lives in Wuhan, China. If you want to kick up your Chinese speaking, let me know and I can give you a referral!